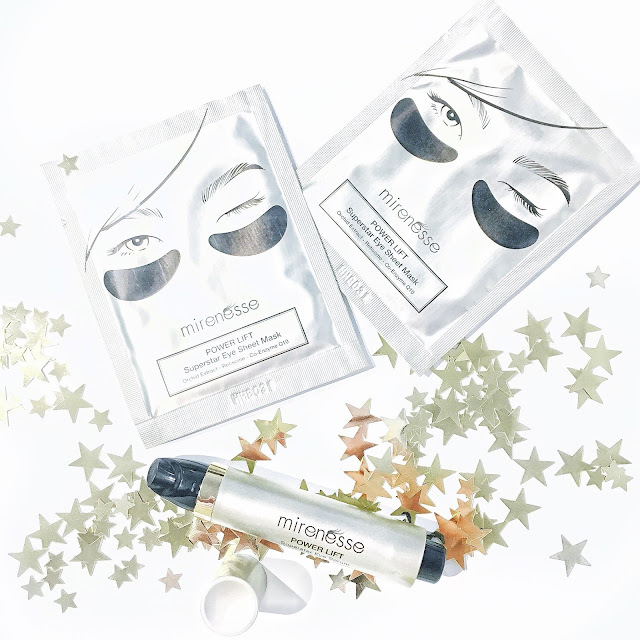 Mirenesse have released two new eye products featuring their Power Lift Superstar Eye Sheet Mask & the Power Lift Superstar Eye Serum..
As I'm constantly behind the computer screen everyday, I do tend to get dark circles and eye bags due to tiredness and strain from time to time. Thankfully, there are some beauty/skincare products in the market that can help to transform the eye area such as from the Mirenesse range. Have you heard of this brand before? Recently Mirenesse released two superstar products which I've been highly impressed with so far. The reason being is because I learned that the products are infused with ingredients which have been clinically proven to boost Collagen in your skin - leading to healthier and younger looking skin if that's what you're seeking. Now you can look to reduce the appearance of fine lines, puffiness, dark circles and discolouration. For me it was looking to fix my horrible dark circles situation. I really enjoyed using this eye serum because it absorbed very easily and it didn't leave my eyes looking puffy or tired. I've tried so many eye creams/serums on the market, and I have to say this particular eye serum has struck me by surprise. I felt that it allowed for an instant lift around my eye areas as well as leaving it feeling quite rejuvenated (it's certainly has a nice feel when you look to apply it under your eye areas). I am using this eye serum twice a day, morning and night. If you're looking for an eye serum that's lightweight and works, you need to get your hands on the Power Lift Superstar Eye Serum by Mirenesse. 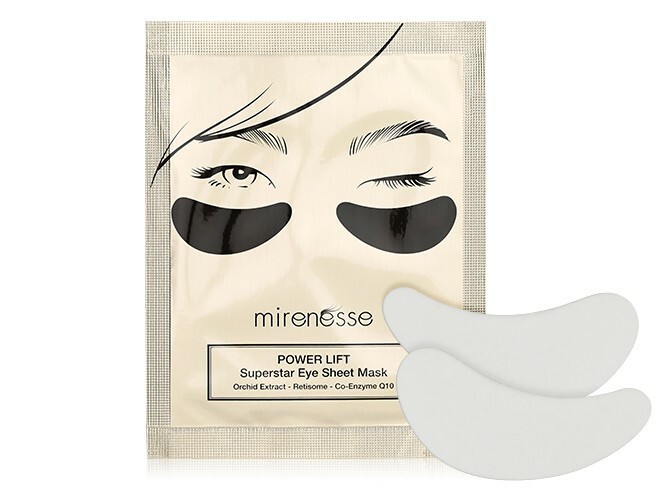 I love to use these eye sheet masks because they're quite rejuvenating and it helps to keep my eye bags de-puffed. The Power Lift Superstar Eye Sheet Masks look to lift, brighten and rejuvenate the eye area leaving it looking younger and glowing. I would use one of these bad boys on at night when I simply need an instant lift to my eye area. When used on a weekly basis, you can look to expect decreased wrinkles and a brightened eye area. 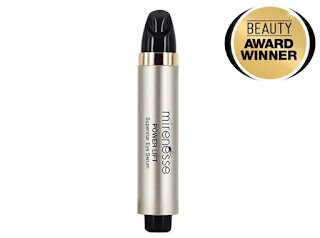 Have you tried any of the products from the Mirenesse range before? Labels: EYE, love, MIRENESSE, new, PRODUCTS, REVIEW, SERUM, STAR, STRUCK.